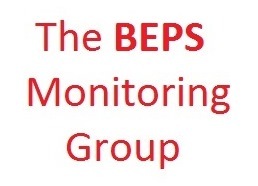 From the BEPS Monitoring Group, a TJN-backed civil society organisation tasked with monitoring the OECD’s so-called “Base Erosion and Profit Shifting” (BEPS) proposals to crack down on international corporate tax avoidance. The (wonkish but important) submission here concerns so-called “non-CIV” funds that are not collective investment vehicles. (Collective investment vehicles are entities that allow investors to pool their money and invest the pooled funds, rather than buying securities directly. CIVs include mutual funds, exchange traded funds and a few others; non-CIVs typically include private equity funds, hedge funds, trusts or other investment vehicles.) The submission here responds to “BEPS Action 6” which seeks to curb the abuse of tax treaties. The BEPS Monitoring Group has now made a submission to the consultation on Non-CIV Funds, under BEPS Action 6 on preventing the granting of treaty benefits in inappropriate circumstances. Although presented in technical terms the proposals raise wider policy issues, since they could result in granting tax treaty benefits to hedge funds and private equity funds even if formed in tax havens. So there is a connection with the current concerns raised by the Panama Papers. This consultation document concerns proposals put forward by interested parties and not the OECD’s Committee on Fiscal Affairs, which is now asking for comments. We regret that the document did not explain the policy issues, to facilitate a wider public engagement. This is especially important since the proposals concern the BEPS Action 6 measures to prevent treaty abuse, which are a core commitment for the expanding group of countries participating in the BEPS process, and may become a global standard through tax treaties. Non-CIVs typically include private equity funds, hedge funds, trusts or other investment vehicles that generally do not have the key characteristics of CIVs. In particular, they are usually both unregulated and narrowly held, since they are aimed at sophisticated investors. Governments are therefore right to be concerned that these non-CIVs could be used to allow access to treaty benefits, in particular reduced withholding taxes at source, for investors who would not otherwise be entitled to such benefits, and who may be able to evade being taxed on such income. Obligations to participate in comprehensive, automatic exchange of information for tax purposes. Where, a fund is not itself able to verify the identity of all its customers because it receives investments from other funds, it must verify that its investors are subject to the same obligations. This would provide an incentive to ensure that jurisdictions hosting financial centres comply with the appropriate global standards, not only for financial regulation, but more importantly in this context for preventing tax evasion. A minimum of 95% of funds investing in such a fund should be entitled to the same or similar treaty benefits.